In the state of Kerala is the town of Guruvayoor. Guruvayoor is an important pilgrim destination for Lord Krishna’s devotees. Lord Krishna stands here in the form of a small child with four hands holding the conch, discus, mace and the lotus flower. It is believed that it is in this form that Krishna appeared in front of Vasudeva and Devaki. This deity was worshipped by Uddhava—Lord Krishna’s disciple and minister—in Dwapara Yuga. After his time, Brihaspathi (Guru) and Vayu brought the idol to the current location and consecrated it here. 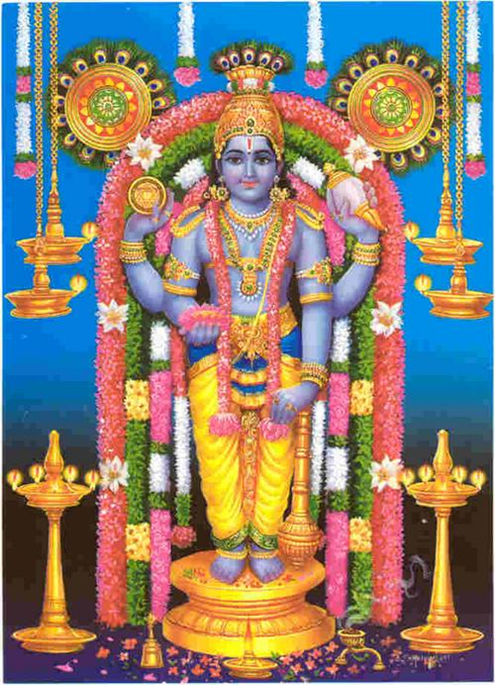 Hence, Krishna is known as Guruvayoorappan here and the town is known as Guruvayoor. Devotees also refer to this Lord as “Unni” (baby) or “UnniKrishnan” (baby Krishna) lovingly. And, true to his name, in numerous circumstances the Lord became a child for many of his devotees. 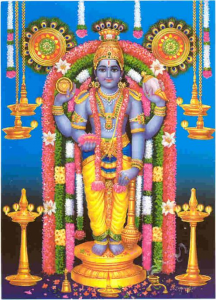 Several stories abound about the lilas of Guruvayoorappan with His devotees such as Poonthanam, Kroorammai and Bhattathiri. Sri Sri Muralidhara Swamiji has visited Guruvayoor several times and has composed several songs on Lord Guruvayoorappan. This month’s song—“Guruvayoor Ennoru Kshethram undu” has been composed in Malayalam and is set in Madhyamaavati raga. 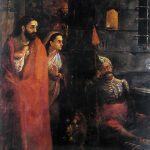 In this song, he refers to the Lord as “Unni” Krishnan and describes the Lord’s captivating looks and his pastimes in the temple. And, in that holy place lives an infant. 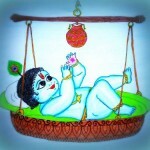 The infant is known by the name Krishna. the infant plays with the baby elephants. And a mischievous smile on His face! the infant will answer all your prayers! 2 Responses to "Madhura Geetam – Bharata Pradakshina 5"
Can you please email me the audio or. Ideology of this song? Can you please email the audio or video of this song?